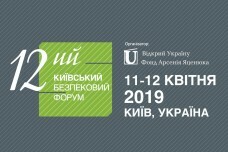 Diplomatic Advisor to the Prime Minister of Ukraine (2015-2016), Deputy Minister for Foreign Affairs of Ukraine (2014) Mr. Danylo Lubkivsky emphasizes the need to publish more literature on international relations in Ukrainian. 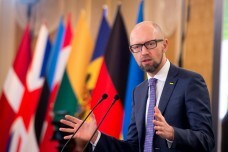 He said this during the 12th Kyiv Security Forum, organized by the Arseniy Yatsenyuk Open Ukraine Foundation. According to Mr. Lubkivsky, recently, the "Osnovy" ("Foundations") publishing house has released the book of the American diplomat Mr. Richard Haass "A World in Dissaray" in Ukrainian and has plans to release a series of "Diplomatic Foundations" on this subject. “If we translate great narratives and concepts of international relations in our native language, in such manner we absorb certain toolkit, tools that allow us to act in international relations. Hence, the national interest is formulated. If you do not have your own vocabulary of concepts, it is very difficult to compete with other centres of global thought,” Mr. Lubkivsky underlined. He added that Mr. Richard Haas, the author of "A World in Dissaray" is categorical and impenetrable, but he outlines the point of view that exists in America and should be known. 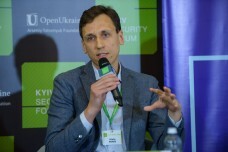 On the one hand, he believes that the aggression against Ukraine is Russia's mistake, but on the other, - he writes that Ukraine's membership in NATO should be approached in very modest manner. In turn, the president of the US-Ukraine Foundation Ms. Nadia McConnell noted that Mr. Haass belongs to the camp of the U.S. President George W. Bush Sr., who "was not very happy with the Soviet Union to be collapsed." 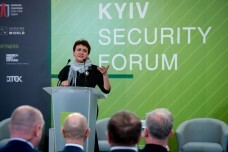 "He politely explains why we should not hurry to support Ukraine's accession to NATO or the EU, but completely ignores the fact that the United States, together with Great Britain and Russia, had agreed to sign the Budapest Memorandum," she stressed. According to the publicist and philosopher Mr. Vakhtang Kebuladze "the book rather provokes than meets views." Nevertheless, it is a real page turner and provides many materials for reflection. In his opinion, many problems of the book emerge because the author approaches world processes from the relations between "great powers" perspective, but at the same time he has no concept of "empire", although, at the moment Russia can be considered "to be the last, very weak empire", and therefore, - he comes to false conclusions. 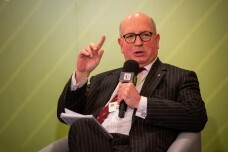 Mr. Richard Haas is the President of the Council on Foreign Relations, former Assistant to the President of the United States George W. Bush Sr. and Counselor of Secretary of State Colin Powell, Head of Two Special Missions for Northern Ireland and the Future of Afghanistan.